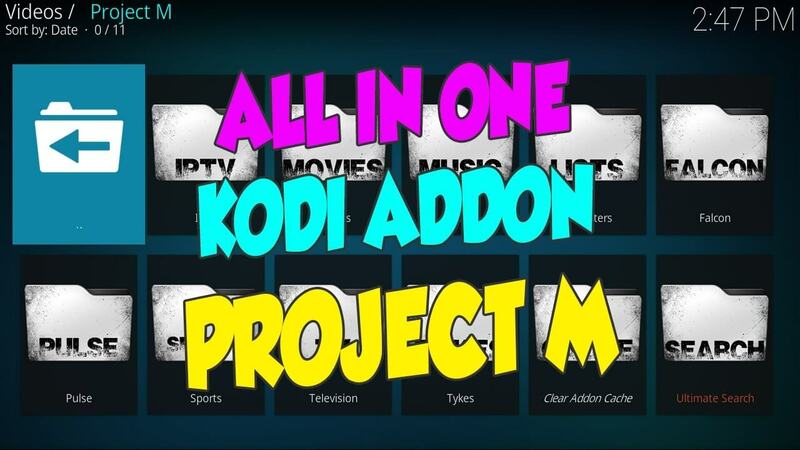 Today I will be showing you how to install the popular Project M add-on on Kodi 17.6 Krypton. This addon has been popular and widely used for a long time so it is well known and trusted within the Kodi community. It has a huge selection of content including movies, TV shows, Live TV, Live sport and much more (You’ll never run out of content to watch!). The addon is fast and optimised, has no lag or buffering issues (So it works well on Android devices such as the Amazon Fire TV Stick) and all of the streams are usually 1080p HD or better. The addon is updated every few days to fix any issues with streams and to add even more new content. Find the Project M Add-on and then click to install it. You can now go back to your main menu of Kodi and find the Project M plugin/addon under Video Add-ons and you are ready to go, simply open the addon! You now have one of the best Kodi 17.6 addons installed onto your device, enjoy it!